Kaitlyn was raised outside of Cleveland, Ohio, where she actively rode and showed horses throughout her youth. Kaitlyn graduated from the University of Findlay in 2013, where she obtained a Bachelor of Science Degree in Animal Science and Equine Business Management. 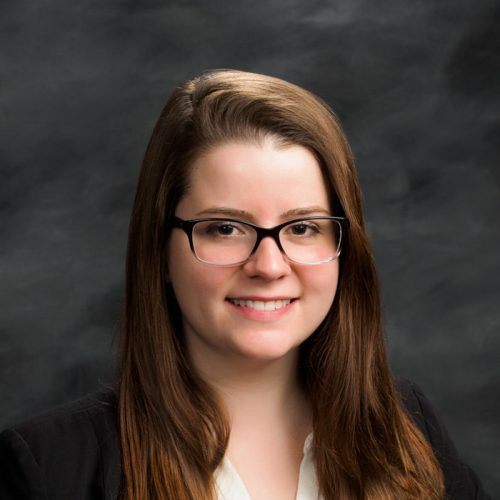 Following college, Kaitlyn moved to Vermont to attend Vermont Law School, where she earned her Juris Doctor degree in 2016. While in law school, Kaitlyn clerked for an area attorney as well as the Vermont Agency of Natural Resources. She also was a student clinician for Vermont Law School’s Food and Agriculture Clinic. When Kaitlyn is not practicing law she enjoys horseback riding and spending time outdoors with her three herding dogs.